Colton Lee Haynes, popularly known as Colton Haynes, is a talented American singer, model, and actor. He rose to stardom as a result of his involvements in the showbiz business. He is best known as for his role as Jackson Whittemore in universally acclaimed drama series Teen Wolf. Haynes, whose birth name is Colton Lee Haynes as given by his parents at his birth, arrived this world on July 13, 1988. His place of birth is Andale, Kansas, in the United States. His parents are William Clayton Haynes and Dana Denise Mitchell while his siblings are Clinton (brother), Joshua (brother), and Willow Haynes (sister). According to information online, the Hollywood star was raised up on a farm in Andale along with his siblings by their parents. He later moved to cities such as Arkansas, Texas, New Mexico, and Florida with his family. Due to Colton’s frequent relocation at different stages of his life, he ended up attending more than one high school. He is said to have studied at Andale High School in Kansas, Navarre High School in Florida and eventually graduated from Samuel Clemens High School in Schertz, in Texas. The Andale-born star began his journey to stardom as a model in New York City, New York, at the age of 15. His successful career in the modeling industry saw him feature in a Bruce Weber photo shoot for Abercrombie & Fitch. He worked for the clothing brands, Ralph Lauren, Verizon, J. C. Penney, and Kira Plastinina and also graced several magazine editorials such as Arena and Teen Vogue. Haynes scored his first acting role in the 2007 blockbuster Transformers. His other movie credits include CSI: Miami and The Hills (2002), My Chemical Romance (2001-2003), Privileged (2008), Pushing Daisies (2007 -2009) and many others. His recent Scream Queens (2016) and American Horror Story: Cult (2017). 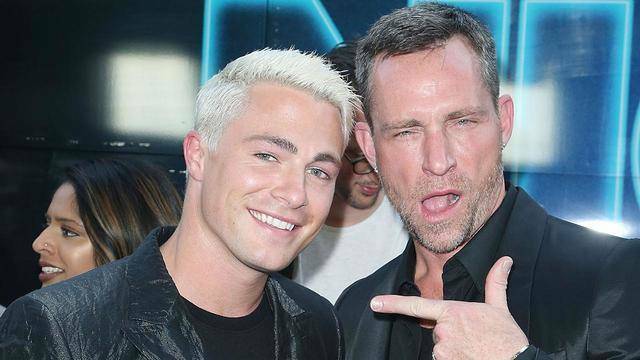 Yes, Colton Haynes is gay. The actor publicly disclosed his sexual orientation for the first time during an interview in the year 2016. He admitted that opening up about his sexual preference was really an emotional thing for him because he was raised in a family where ” you couldn’t just be gay”. He also disclosed that he was told his father committed suicide when he learned that he is gay, adding that it was really tough for him after he lost his father. For realizing himself and coming out as gay, Haynes was nominated to Out magazine’s “OUT100” in November 2017. Presently, it is not known if the Teen Wolf star is in a secret relationship or not. His last known relationship was with Jeff Leatham, a popular American floral designer, and writer. The pair got engaged in March 2017 at Cabo San Lucas, Mexico, where Jeff, who is 17 years older than Colton Haynes, popped the question. They later got married in October 2017 in Palm Springs, California, in a star-studded ceremony that was officiated by Kris Jenner and attended by bigshots like Billie Lourd, Sofía Vergara, Justin Mikita, Chelsea Clinton, and Leslie Grossman. Haynes and Leatham’s relationship was a subject of interest to their fans and the LGBT community at large because the former, in particular, struggled with his sexual life before he finally summoned the courage to come out of his closet. At the time of writing, Colton and his husband are no longer living together. The two divorced in March 2018, just six months after they had a celebrity-studded wedding ceremony. Initial reports on the duo’s tragic separation gave no reason for it but rumors later surfaced that Jeff cheated on his husband but Colton immediately shut down the rumor on his social media page, claiming that Jeff didn’t cheat on him. He also warned people to stop tormenting his ex-husband and mind their business. The Teen Wolf actor’s relationship with his florist husband became a subject of public discussion after the actor unfollowed Leatham on Instagram and also altered his relationship status, removing his husband’s name from his Instagram profile. The two are currently living in separate apartments and have maintained a low profile ever since they called it quits. Prior to Haynes’ short-lived relationship with Leatham, he had a wobbly relationship with a slew of notable actresses. The actor dated Electra Avellan from 2007 to 2008 and later American actress Holland Roden from 2011 to 2012. After a while, he got hooked up with actress Emily Bett Rickards but their relationship crashed after a few months. 1. 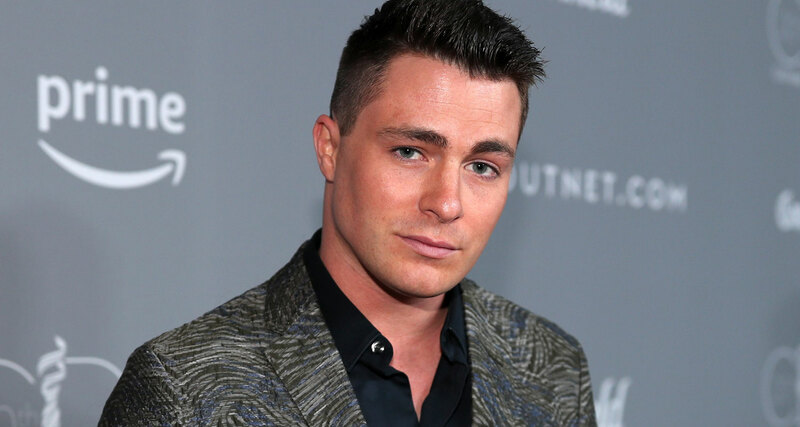 Though Colton Haynes scored his first acting role in 2007, his first credited film role was in San Andreas, a 2015 disaster film. 2. The actor has anxiety issues. 3. Beyond being an actor and model, the Arrow star is also a singer. 4. He is actually the person that filed for divorce from his ex-husband, citing irreconcilable differences as the reason for the separation. 5. Colton Haynes is 5 feet 9 inches tall.